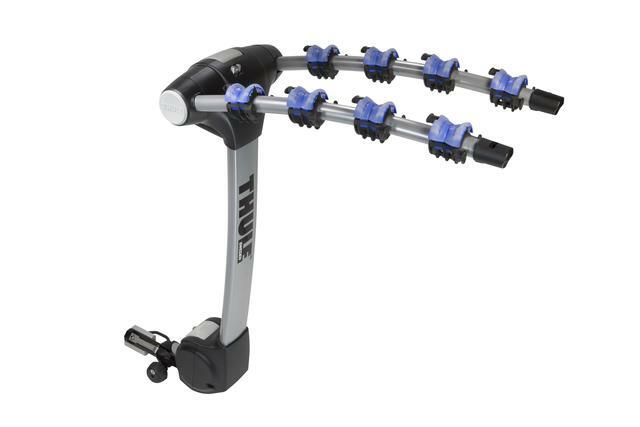 Carry up to four bikes using the all-new Hitch Mount Bike Rack system made by THULE(R). An alternative to a roof-mount bike carrier, the hitch mount allows you to quickly and easily install your bikes on the back of your vehicle for your journey and allows for hatch access when you need to reach the trunk. Designed with a receiver lock to reduce hitch rack movement and a bike arm design to allow for increased ground clearance and help prevent contact between bikes.